The Bioko Island is progressively being turned into a petrochemical complex, threatening the local population Bubi people livelihoods. 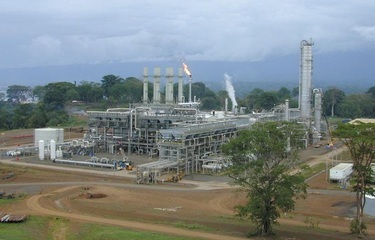 Equatorial Guinea is the third-largest oil producer in Sub-Saharan Africa, after Nigeria and Angola. The income from this black gold has not improved the living conditions of local communities - on the contrary, the proceeds have been instrumental in strengthening the on-going dictatorship of President Obiang Nguema and his family. The discovery of oil and gas reserves on Bioko Island worsened the conflict between the native Bubi ethnic group and the central Government. The Movement for the Self-Determination of Bioko Island remains active. Project Details Equatorial Guinea exports about 500 barrels per day. The government made clear its willingness to turn Riaba on the BIoko Island into a petrochemical complex. By the beginning of 2015, the Equatorial Guinean government has signed an agreement with Taleveras Group, to build an oil storage hub at Punta Europa on Bioko Island. Development of Alternatives An end to oil extraction activity on Bioko Island and the restoration of the area. Why? Explain briefly. Oil & gas extraction is still the main economic activity on the Bioko Island, and the Government supports it, threatening the native population. Lifting the Oil Curse: Improving Petroleum Revenue Management in Sub-saharan Africa. Katz , Menachem. Ed. IMF. 2004. Ayuda, mercado y buen gobierno - Los lenguajes del desarollo en Africa en el cambio de milenio. Campos Serrano, Alicia. Ed. ICARIA. 2005. The myths of the west african gas pipeline. Friends of the earth. Ed. Friends of the earth. 2006.